The French brand Jean Brunet is a longtime manufacturer of a wide portfolio of high quality products without any artificial ingredients according to the traditional recipes, that can be used in a gluten-free diet. Production dates back to 1895. 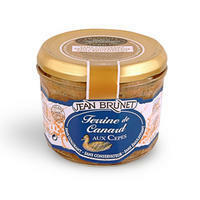 Gourmet specialties and delicacies of Jean Brunet are offered in a wide range of flavors in different species and varieties of pates - terrines, paté, confits etc. 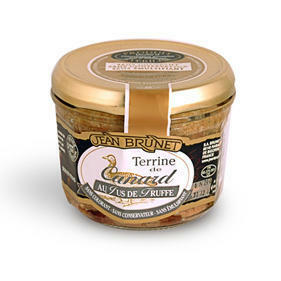 Terrine is a French forcemeat loaf similar to a pâté, made with more coarsely chopped ingredients. Terrines are usually served cool or at room temperature. 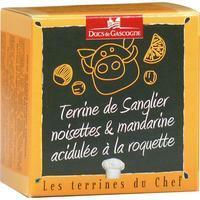 Most terrines contain a large amount of fat, as well as pork, although it is often not the main ingredient. Many terrines are made with typical French game meat, like deer and boar (which are generally not eaten any other way in France). 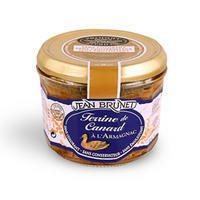 French terrines are usually made using the traditional method without adding colorants, preservatives and emulsifiers. Storage untill 25 ° C. After opening store at temperatures below 4 ° C and use within 2-3 days. Being original and innovative, the "Terrines du Chef" are gastronomic terrines, whose names recall the food menu of great restaurants! Unusual combinations, pleasant taste, quality. 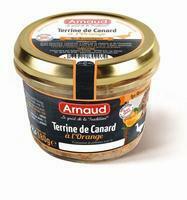 Just spread on the baguette or white wheat and welcome your guests with quick and original refreshment.